This morning I attended a beautiful ANZAC Dawn service at Pukeahu National War Memorial Park. I often cry when The Last Post sounds and the flag is half mast. And I ALWAYS cry when everyone sings Whaakaria Mai (How Great Thou Art) and Amazing Grace. To me, these songs represent those who have gone before and they particularly reminds me of my grandparents. My grandfather was involved in WW2 (leaving details out) so reflecting on what his family went through at that time is very emotional. Wearing my grandfathers war medals, like may Kiwis, brings a great sense of pride and respect on ANZAC Day. You might be wondering, what does ANZAC day have to do with sobriety? My answer is, everything. 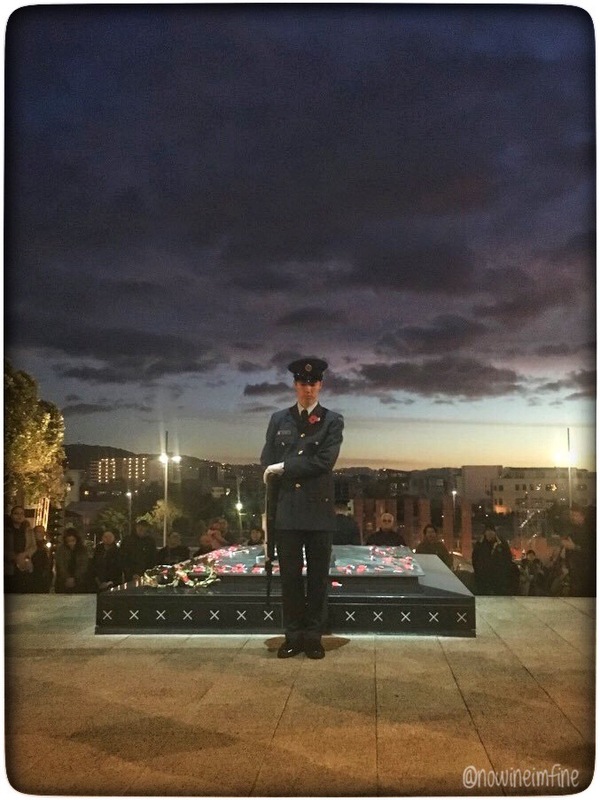 Getting up sober to reflect on those who have gone before is a privilege and an honour. I am 100% present and sober on a very special day. Getting up at 5am to get to the service worked. I wasn’t hungover, I wasn’t worried about being breathtested / still being over the limit. Knowing what ANZAC Day represents meant I had a reason not to drink last night. Instead of being hungover, tired and pathetic, I was fully present at this morning’s service. Back home now and it’s such a delight, watching commemorative services across New Zealand. And of course, ANZAC biscuits and a cup of tea for breakfast! As the sun rises across Australia then other countries, more and more of us are are gathering to remember them. Below is a photo I took on ANZAC day last year. It is at the Tomb of the Unknown Warrior at Pukeahu National War Memorial in Wellington. To me, it sums up what ANZAC day means and represents. Remembering those who gave their lives for us is so important. I fear in the US, Memorial Day is viewed as a time of shopping, and not with the reverence it deserves. Thank you Wendy 🙂 Shopping? Oh wow. In New Zealand, all shops are closed until midday out of respect for those who have gone before. It’s a very special day. Beautiful post. Both my grandparents were in the war. One in Europe and one in the Pacific. The young generation doesn’t hear their stories anymore. Important to remember and keep alive what sacrifices were made for all of us. So great you felt fully present in the day! Absolutely – it’s wonderful that awareness is growing across the younger generations. Attendance at commemorative services like today is growing, young and old. Sounds like you have some powerful and special family memories.